Sara Schmitt is a Grand Prix dressage rider, trainer, instructor, USEF 'S' judge, ADS 'r' judge and international combined driving competitor. Sara has her USDF Bronze, Silver and Gold Medals and numerous regional and national awards to her name. She is recognized for her professionalism in the sport, her long list of accomplishments and her proven ability to bring both horses and riders up the levels in dressage and driving. For over 25 years, Sara has trained horses and riders from the early stages through the FEI levels, many of them becoming competitive on the regional and national level. 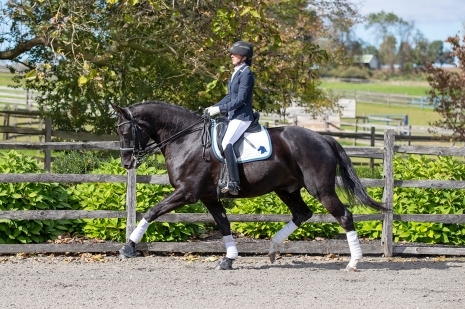 In 2015, Sara and her German Riding Pony HB Dschafar won the National Championship for Second Level Freestyle Open at the US Dressage Finals in Lexington, Kentucky. In combined driving, Sara is a two-time USEF National Champion in the FEI Single Pony division and has represented the US at three FEI World Pony Championships. In 2014, Sara coached the bronze medal winning US team at the FEI World Para Equestrian Driving Championships for Singles in Sandringhan, Great Britain. 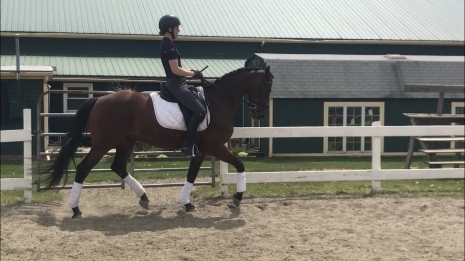 With her New Forest/KWPN gelding, Kaboom, Sara was short listed for the US Team for the 2012 FEI World Singles Championships and the following year placed 8th at the US Dressage Finals for Grand Prix. Sara was a 2011 recipient of the Major Anders Lindgren Scholarship Grant for instructors, awarded by the Dressage Foundation, which provided her with the opportunity to train with Belinda Nairn-Wertman in Ocala during the winter of 2012. In recent years, Sara has trained frequently with Lars Petersen as well as Catherine Haddad-Staller, Jan Ebeling and Uwe Steiner.